JASON JACK MILLER: Catherine Adams, February 29, 1924 - August 8, 2015. Catherine Adams, February 29, 1924 - August 8, 2015. Early last Saturday morning, my grandmother passed away. She'd been admitted two weeks earlier for a fairly minor illness that had been the only real hiccup in a long spell of fairly good health. At the time, I didn't know that she'd already spoken her last words to me. I left the hospital at about one in the morning. Heidi and I had been there since mid-afternoon, and we'd gone to dinner with my Aunt Cheryl and Uncle Mike. My mom took the night shift, and I'd gone back up to keep her company. A few hours later I got the text. I'd seen this woman toss hay bales down from creaky barn lofts and wrangle young steers into the bed of her pickup. She'd gardened and danced until she was 83 or 84. And when I saw her in that hospital bed, frail and gasping, I felt as if I'd lost something substantial, and I realized that being an adult meant having a painful awareness of every single event that got you there. As a writer, I often get approached by people at signings or workshops who tell me their grandmother--or aunt, or brother--has the most amazing life story, and that I should write it. That it would be a bestseller, like ANGELA'S ASHES. And I never tell them that a lot of people think the exact same thing, and that in the end, the story is probably only meaningful to the people who knew their loved one. Instead, I suggest that they are the best person to write that story, that they be the one to sort through the personal anecdotes and details that made that person special, and organize them into a narrative that they'd like to share with family members. I stand by that always--writing the story is for you. Children and siblings and friends and cousins should never feel that if somebody else has done it, they shouldn't attempt to write their own version. Do it selfishly and generously, filled with joy and sadness, because in the end, you are the one who grows from the experience of shaping a penultimate version of a loved one. 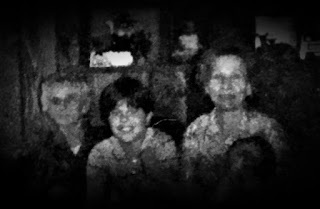 And until I did it myself--until I stopped and considered how I'd describe my grandma in three-hundred words or less--I never realized that until I put it on paper, I'd never really known her. How she was a single-mom before that was even a thing. How she went toe-to-toe with the kind of men who'd wring the last penny from a less savvy woman. How she hid a lot of hardship from a lot of people who were close to her, to save them from having to worry themselves. When my aunt asked me to write down a few ideas for the obituary, I didn't know my perceptions of her would change so completely, or that I'd only finally realize what I'd lost. What follows is the version that ran in the Herald last Monday, which is slightly different than my original version. 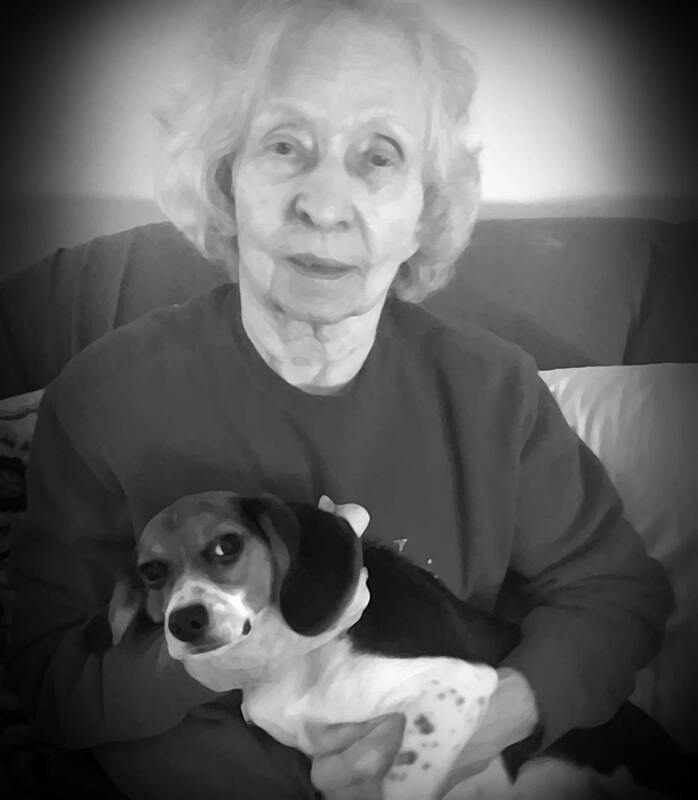 Catherine Adams, 91, of Smithfield, passed peacefully on the morning of Saturday, August 8, 2015, reluctantly leaving the family she so loved. Catherine measured her life not in years, but in an abundance of experiences many would’ve thought unimaginable for the daughter of Croatian immigrants, born and raised on a small farm with a sister and five brothers in Little Summit, just outside of Connellsville. The Muchnoks maintained a strong Croatian identity through the food they ate, the music of the Tamburitza, and their faith. But knowing that opportunities for strong, smart women were rare, Catherine joined the thousands of girls who answered Franklin Roosevelt’s request for all citizens to serve in the war effort, and found employment with the Social Security Administration in Baltimore. Catherine sent money home--minus what she needed for odds and ends--and received little reminders from the farm in the packages her mother sent. And when the war ended, she married a returning soldier, Francis Adams, and started a family of her own. As a wife, she tended to the home and family, which had grown to seven children, while her husband worked as a local coal operator. After becoming a widow all too early, she was left to raise the family on her own, a role she lovingly embraced. As a mother, she encouraged her children to explore athletics, music and dance, and academics as a way to seize the opportunities that she couldn’t, and was rewarded by seeing her family's values of hard work, unwavering tenacity, and maternal love reflected in her children, grandchildren, and great-grandchildren. She did all of this while maintaining a farm and other commercial properties, leveraging her resources as a way to provide the stability and comfort she desired for her children. Her legacy continues in her children, grandchildren, and great-grandchildren, who she taught to eat well and to cook more than needed, to never stop dancing, that a little whiskey is good for a cold, and that a little wine every now is more medicinal than recreational, that travel completes a person, that a mother’s love is always unconditional, even in hard times, and that there is no such thing as ‘hard times’ when you are surrounded by people that you love, as Catherine was during her final bout with the unexpected illness. She was preceded in death by her parents, Charles and Anna (Bukovac) Muchnok; her beloved husband, Francis Adams; her son, Phillip Adams; and her brother, John Muchnok. She is survived by her loving son, Francis Adams Jr., of Connellsville; and loving daughters, Sandra Miller, of Uniontown, Marilyn Moncheck and husband, Leonard, of Uniontown, Cheryl Rega and husband, Mike, of Mt. Pleasant, Joanne DiCristofaro and husband, Dean, of Latrobe, and Lisa Gibson and husband, Paul, of Georgia; ; loving grandchildren, Jason Miller and wife, Heidi, Michael Miller and wife, Crystal, Ryan Moncheck and wife, Maria, Staci Moncheck Hiles, Skyler Moncheck and fiancee, Melani, Alysa DiCristofaro, Michael Rega Jr. and fiancee, Samantha, Lindsay Rega and fiance, William, Jessica Gibson and Benjamin Gibson; loving great-grandchildren, Caileigh and Macy Hiles, Levi, Evan and Vince Moncheck and Zayne Moncheck; brothers and sisters, Mike Muchnok, Helen Puzak, Charles Muchnok and wife, Barbara, Daniel Muchnok and wife, Nary Gladys, and Joe Mucheck and wife, Kathleen. As an animal lover, she also leaves behind her loyal beagle, Scout, and feisty feline, Snookie. A beautiful tribute, Jason. She was an amazing woman. We are proud of you.